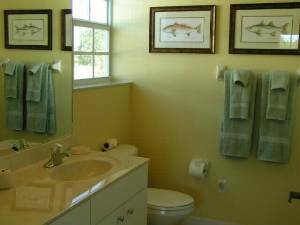 This is a Brand-New 2 Bedroom, 2 Bath Waterfront Condominium located in the fishing village of Calusa Island. 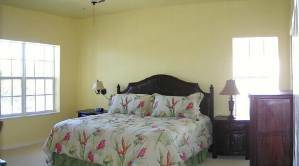 The home is professionally furnished by an interior designer that includes all conveniences one can desire. The kitchen has brand-new stainless steel appliances and granite marble countertops with amenities such as a coffee maker, toaster and stemware. The lanai has outdoor seating accompanied by a beautiful water view. 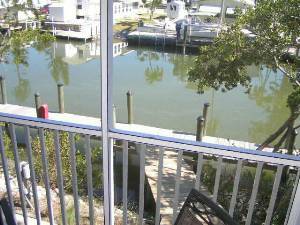 For all those fishermans and boaters there is a 34' private boat dock available for your use. The island is located Southeast of Tropical Marco Island, with direct access to fishing, crabbing and boating. The spacious interior living space has a Master Bedroom with bath, guest bedroom, guest bathroom and a fully-equipped kitchen...View nature from the living room's screened lanai. The condominium is handicap friendly with elevator access. For more entertainment take a short drive to downtown Marco Island for shopping, restaurants, eateries, movies and beaches...Marco Island offers superb beaches, diversed dining opportunites, local shops and easy access to Naples amenities which includes the famous Fifth Avenue District, Venetian Village, Waterside Shops, upscale shopping, theater, and zoo. 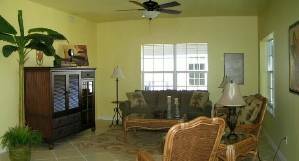 Fully furnished with new stainless steel appliances and granite marble countertops. All Rental Incur a 10% Florida Tax (Not Included in Base Rate). $100.00 Cleaning Fee Not Included In Base Rate. Reservation Requires Security Deposit (Refundable Upon Departure and Inspection of Property).